Dipanjana Saha from Pune, B.A Graduate. 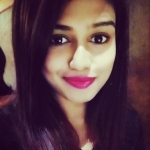 Dipanjana Saha is Marketing and currently have no work experience. COMMUCATION SKILL NEGOATIATION QUICK LEARNER MS OFF..
are one of expert skill area's of Dipanjana Saha . Dipanjana Saha is working in Sales Marketing industry.